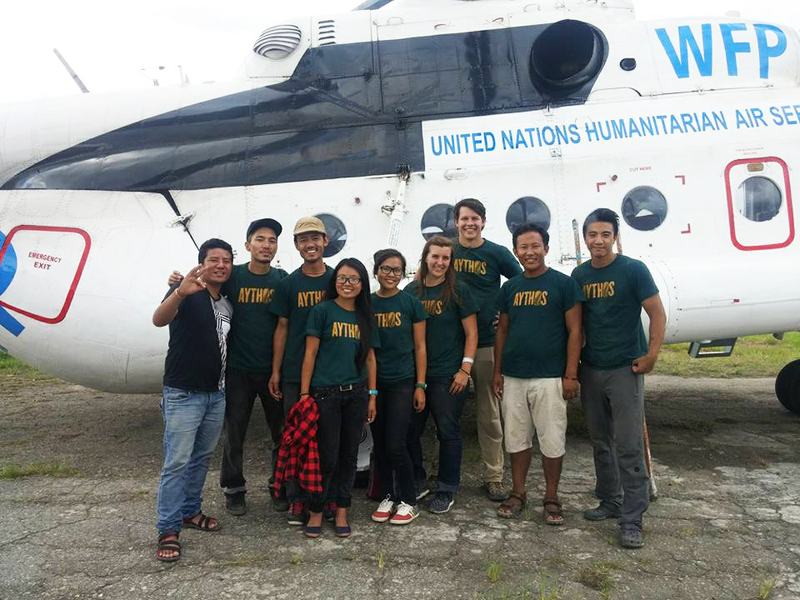 In case you missed it, Syracuse University News ran an article in early November featuring one of our PAIA students, Rachel Penner, who worked in disaster relief over the summer in Nepal. Rachel is a dual degree MAIR/Atlantis* student. Kam and Rachel Penner, a graduate student in the international relations program in the Maxwell School, both connected with the U.S.-based organization Aythos. The NGO was co-founded by Maxwell School alumnus Beau Miller G’10, who is Aythos’ president and executive director, and has worked in Nepal for six years. Penner, who is interested in disaster response and development, was also drawn to the work Aythos was doing. “Since Aythos was focused on development through their agricultural work before the earthquake, I knew that they would have a unique perspective on how to respond to a crisis with an eye toward long-term efforts,” Penner says. 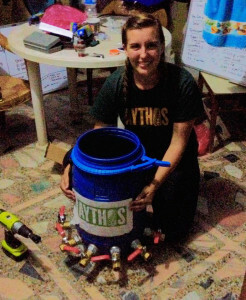 Rachel Penner displays a water distribution tank that allowed the biosand-filtered water to be distributed to different housing clusters in a Nepalese village. Penner designed the tank to ensure the structural integrity of the main, 2,000-liter storage tank. 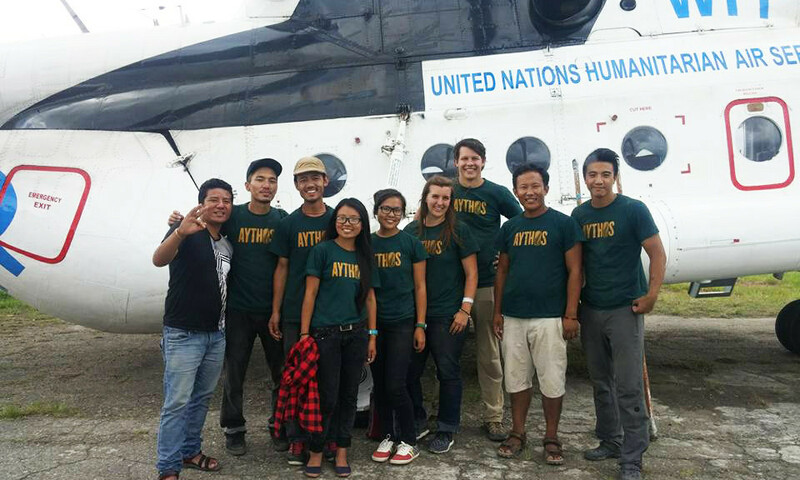 Rachel Penner, fourth from right, stands with other volunteers near a mission transport plane. *The Atlantis Transatlantic Degree Program allows students to study at U.S. and European institutions while earning a MAIR or MPA from the Maxwell School at Syracuse University and a MPP from the Hertie School of Governance in Berlin, Germany.